In many ways, a musician is often the product of his environment. The places they live and the friends they keep influence their creativity and define who they are. Such is the case of Chuck E. Weiss. He has been immortalized in song, co-starred with musical legends, and created a stylish scene that included many of rock and roll’s elite. Considered to be the epitome of cool, Weiss is a lot like your estranged uncle who drinks and smokes too much, but with whom you would enjoy sitting back and hearing tales of his journey through rock and roll history. Weiss could tell you how he was well known in musical circles for years because of friendships and collaborations with the likes of Lightin’ Hopkins, Muddy Waters, Tom Waits, and legendary bassist Willie Dixon. After a tour with Hopkins , Weiss began residing in Los Angeles ’s infamous Tropicana Motor Motel alongside Rickie Lee Jones, The Eagles, Linda Ronstadt, Tom Waits, and Frank Zappa. In 1979, Weiss became the subject of Rickie Lee Jones’s monster hit “Chuck E.’s in Love” and made a few name appearances in Wait’s songs as well as co-writing with him. 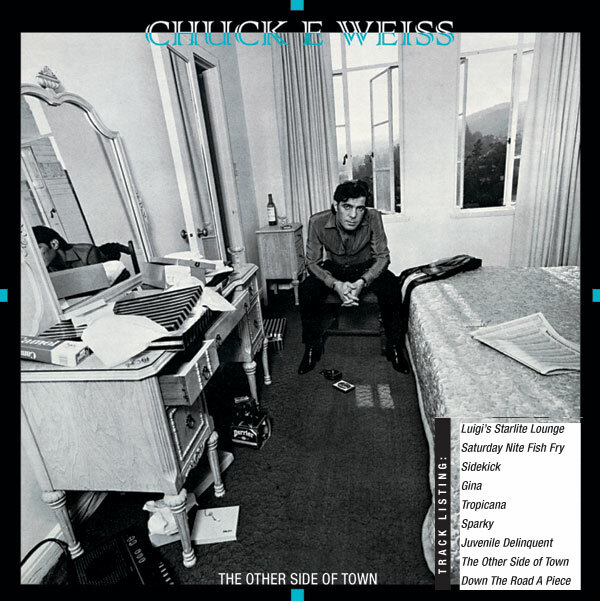 If that story was not impressive enough, Weiss would add that in 1981, Select released a collection of Weiss’s demo songs titled, “The Other Side of Town”, and Weiss went from being song material and occasional collaborator to a solo artist. Part blues and part early rock and all heart allowed Weiss to achieve success and a sound all his own. Weiss chose to remain in LA and for the next eleven years after releasing “The Other Side of Town”, performing regular weekly gigs at LA’s the Central and eventually converting the club to the Viper Room with friend and partner Johnny Depp. Finally, after eighteen years, Weiss recorded a follow-up album in 1999 aptly titled “Extremely Cool” which was co produced by Waits. "I can't tell you why I was not recording. I'm the kind of a guy that doesn't do much planning. Just say that I got sidetracked." Molded by a life of music and for the past twenty years Weiss has been performing with his band, The Goddamn Liars, in LA. Weiss is much more than a name in a song, Weiss embodies everyone that made music. Wherever there is a tale to be told, and a willing ear, Chuck E. Weiss can be heard. Select feels that this recording, released in 1981 when the company was young, deserves to be re-released at this time when the roots of music are more sought out and appreciated by today's listeners.